The White Walkers aren’t the only ones waging controversial wars. Currently, our government is in a battle amongst one another over net neutrality and how they believe the internet should be accessed. On one hand, you have those who believe the internet should be open and accessible for all on the same level. During the President Obama administration in 2015, regulations were put in place that helped protect this belief by keeping the internet neutral. On the other hand, you have those in the government who believe the internet should be tiered and deregulated, thus the process of the net neutrality repeal in December of 2017. While net neutrality has become a buzz word over the last few months, many marketers and top branding firms in Philadelphia and all other major cities are still at a loss regarding its importance and what those changes could mean. Here, we break down a few of the need to know points regarding net neutrality and its pending reversal. Simply put, net neutrality is a set of rules that were created to force Internet service providers to treat all web traffic the same. These rules put forth in 2015 reclassified the internet as a public utility, similar to telephone services, airlines, utilities, etc. The internet is therefore governed by telecommunications and high speed service must be provided to all without discrimination or unfair regulations. Essentially, under this regulation, Internet Service Providers, or ISPs, are more of the intermediary provider rather than a manager of the content that is delivered. The internet provided should be treated fairly and accessible for all. Back in December of 2017, the Federal Communications Commission voted in a 3-2 party line vote to abolish net neutrality regulations and undo protections that made the internet fair playing grounds for all. Now that Net Neutrality has been appealed, the classification of internet has changed. It will no longer be considered a public utility, but instead an information service. This in turn removes any ability the FCC would have to regulate how the internet is managed and provided. 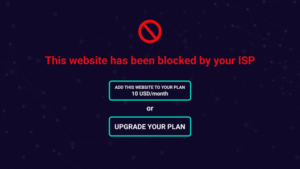 What does a repeal of Net Neutrality mean for me? If you’re familiar with many of the graphics that have circulated around the internet, then you have an idea what a tiered internet service would look like. Many countries such as Guatemala, Portugal, and Morocco already have experience with this less than ideal system. Though this isn’t necessarily the plan for our internet, it does open the door for the internet to become structured in such a manner. Additionally, it also allows for certain businesses to receive prime recognition by search engines and internet provides, making it harder for digital marketers and branders to effectively do their jobs. The repeal of Net Neutrality sounds a little off putting for many, and for good reason. However, to be fair, the regulations put in place to help safeguard the internet were only recently put in place over the last 2-3 years. Though the idea of having to pay extra just to binge watch our favorite Netflix shows doesn’t sound appealing at all, the deregulation is supposed to force ISPs to become more transparent with their policies and practices. We’ll just have to wait and see what the future holds for the internet in the US.